Price $23 USD. Item no - SK 166. 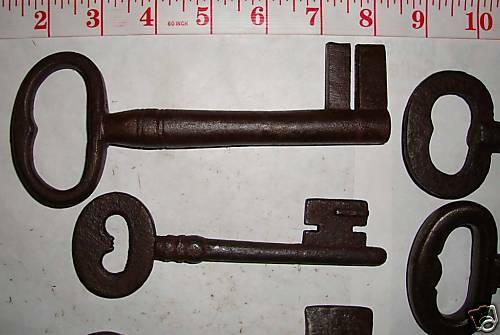 ANTIQUE VERY BIG & HUGH IRON KEY – RARE. MADE UP OF IRON. 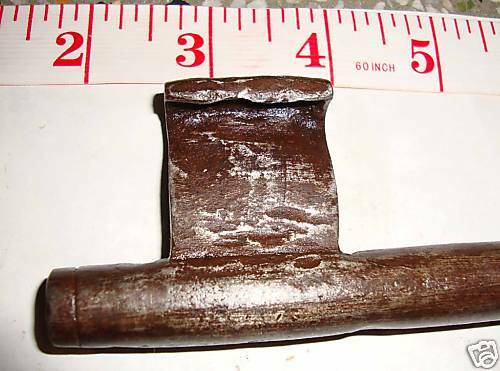 WEIGHT – 375 GMS APPROX. Item no – SK 166. Price $100 USD. Item no - SK 165. 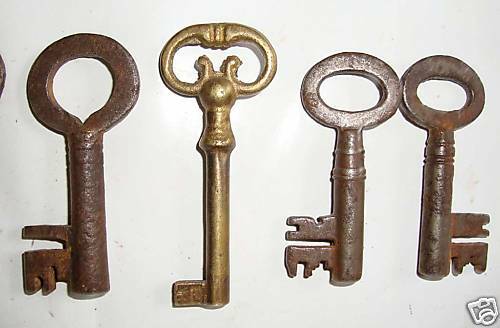 LOT OF 8 ANTIQUE VERY BIG & HUGH IRON KEYS – RARE. NICE SHAPES & DESIGNS!! MADE UP OF IRON. TOTAL WEIGHT – 1 KG 500 GMS APPROX. Item no – SK 165. 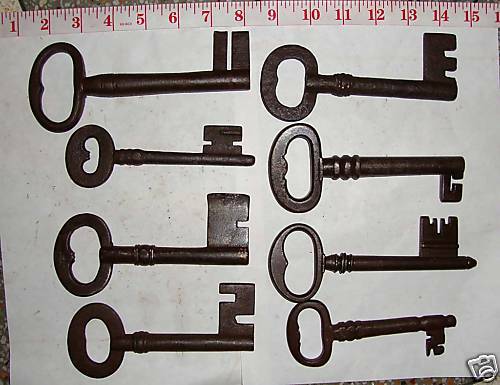 LOT OF 29 ANTIQUE IRON KEYS – DIFFERENT SIZES! NICE SHAPES & DESIGNS!! MADE UP OF IRON. 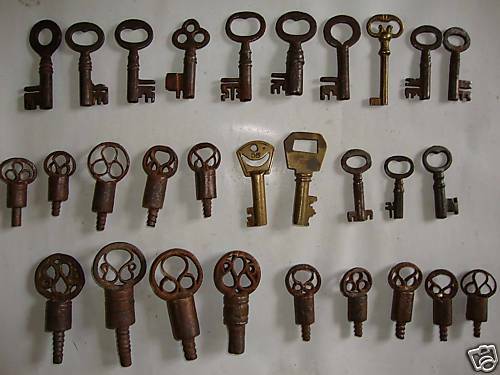 WEIGHT OF ALL THE KEYS TOGETHER – 750 GMS [APPROX]. 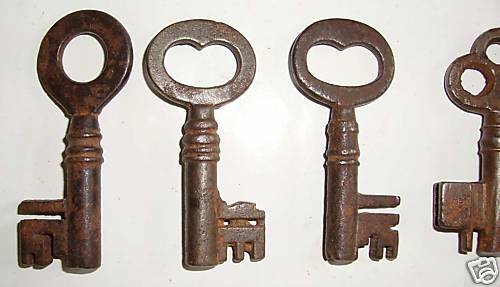 Comments Off on LOT OF 29 ANTIQUE IRON KEYS – DIFFERENT SIZES!